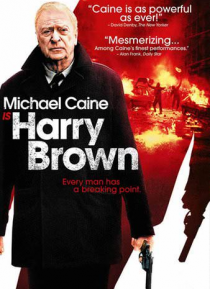 Set in modern day Britain, HARRY BROWN follows one man's journey through a chaotic world where drugs are the currency of the day and guns run the streets. A modest law-abiding citizen, Harry Brown is a retired Marine and a widower who lives alone on a depressed housing estate. His only company is his best friend Leonard (David Bradley). When Leonard is murdered by a gang of thugs, Harry feels comp… elled to act and is forced to dispense his own brand of justice. As he bids to clean up the run-down estate where he lives, his actions bring him into conflict with the police, led by investigating officer DCI Frampton (Emily Mortimer) and Charlie Creed-Miles.